Quality Victorian Bread Knife. 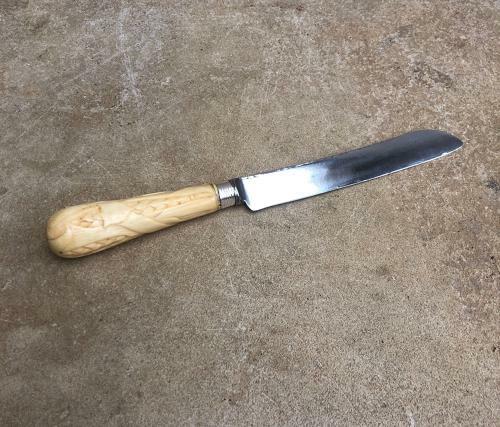 Polished steel blade and carved ivory handle. Crest to each side.